Belize could be heading to a debt default. Creditors express concern over Belize debt. 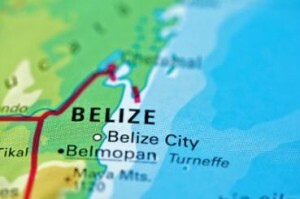 BELMOPAN, Belize – More than half of Belize’s large bondholders have formed a creditors committee out of concern that the Caribbean country will become the next sovereign to default on its debts. According to a report in the Financial Times, this committee represents almost half of the holders of a US$547m bond due in 2029. The creditors, who hold more than US$200m of the debt reportedly became alarmed when informed by the Belize government that it might “amend certain terms” of the bond. Last week, Belize Prime Minister Dean Barrow revealed that the government was in talks to restructure the large bond before an interest payment of US$23.5 million is due in August, after the interest rate stepped up to 8.5 percent this year. According to Reuters data, the bond’s yield trades at 1,689 basis points over US Treasuries, well above levels for nations such as Pakistan or Venezuela. Reports are that the bond has been trading at a subdued price for some time, as investors have widely expected a debt restructuring. Moody’s this month cut Belize’s credit rating for a second time this year, down to Ca, citing a likely restructuring and the country’s weak economic growth. The bond was approved in 2007 in an effort to consolidate the country’s debt, which totals about US$1 billion, more than 70 per cent of Belize’s $1.4 billion gross domestic product, according to the central bank. Barrow told the media last week that restructuring talks were going well and the government’s debt restructuring team had met with officials from the International Monetary Fund and the Inter-American Development Bank and feedback had been positive. However, the representatives from the creditors’ ad hoc committee appear far more concerned than government reports would suggest. “While we are sympathetic to the challenges facing Belize, any proposed amendment that results in a net present value or principal loss to creditors would not, based on the committee’s current understanding of the situation in Belize, be considered acceptable or, for that matter, necessary,” said AJ Mediratta, a partner at Greylock Capital Management and chairman of the creditors committee, as reported in the Financial Times. Greylock Capital was one of the hedge funds that sat on Greece’s creditors committee this year. Belize’s creditors committee is advised by BroadSpan Capital, a Latin America-focused investment banking boutique that also advised international creditors to Saint Kitts and Nevis, the Caribbean island federation, in debt restructuring this year.